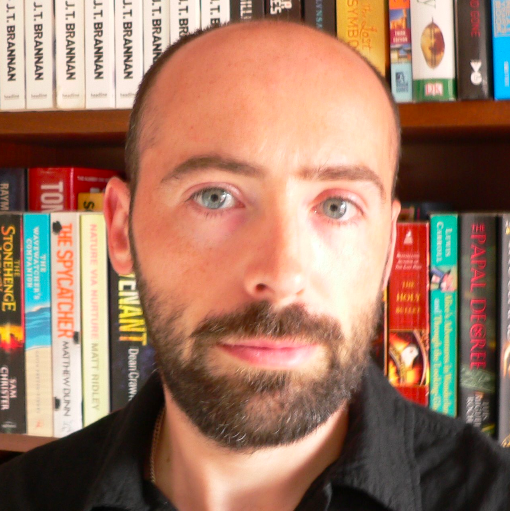 So recently I was contacted through Twitter by fellow author Steve Cavanagh, who asked if I'd like to take part in a blog-tour with a difference. The way it was explained to me made it kind of sound like a version of tag-team wrestling, but without all the sweat and violence. What happens is writers are invited to use their own blogs to answer four specific questions about their working habits - after which the blogger tags the next authors on the list, who proceed to do the same thing a week later on their own sites, who then tag further authors in the process. And so on, and so on. It sounded like an interesting new wrinkle on the whole blog-tour scenario, so naturally I said I was more than happy to get involved. 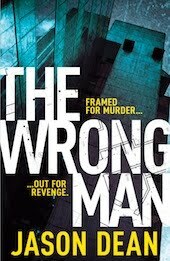 But before we start I want to give a shout-out to Steve Cavanagh, who's a practising solicitor from Belfast and whose debut novel - a New York-based legal thriller called THE DEFENSE, starring former con-artist turned defence lawyer Eddie Flynn - is set for release through ORION around Spring of next year. The whole concept sounds pretty damn intriguing and I'm really looking forward to reading it when it comes out. (Any chance you can bring the publication date forward a little, Steve, so I don't have to wait a full year? Thanks.) You can also read Steve's own contribution to this blog-tour here. 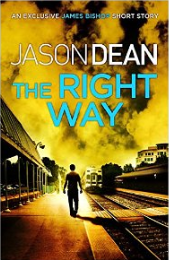 I've just finished the second draft of a new James Bishop novella - titled THE RIGHT WAY - and once I've read through the manuscript again to make sure there are no glaring errors, I'll be sending it off to my editor to get her views on it. The first Bishop eShort, ONE GOOD TURN, was only released a few weeks ago and I'm currently gearing up for the release of the second one, THE LAST QUARTER, in a few days - May the 1st, to be precise. And then a month after that, we've got the hardcover publication of my third Bishop novel, THE HUNTER'S OATH. As far as actual writing goes, I'm just about to get going on the fourth James Bishop novel - and while there's no actual title yet, I already know what's in store for the poor guy. Thing is, I was actually planning to start writing it last year, but then my publishers approached me with the idea of creating these short stories and novellas to compliment the release of the full-length works, so naturally they took precedence. Fortunately, I was so ahead of schedule at the time that it was no problem to postpone work on the novel and work on those instead. But now, with the first wave of shorts completed (see above), I'm free to get back to the book. Fortunately most of it's already plotted out, so once I've gone through my extensive notes to catch up on everything, I should - theoretically, at least - be able to open up my saved Word document, type in those two words 'Chapter One' and get cracking. Well, when I originally came up with my lead character, I knew I wanted to play with the lone-wolf archetype as they were the characters I gravitated towards most as a reader, but I also knew I had to make Bishop stand out from the rest of the pack in some way (not sure that metaphor works when discussing a lone wolf, but never mind). Now I've been a major fan of Richard Stark's Parker series for as long as I can remember, and while I didn't want a full-blown criminal like Parker for my lead, I did want someone with the same distrust and dislike of the law. All too often these days, I'm reading books with cops or ex-cops as the main protagonists - and even if they're not directly connected with the police, they seem to be on at least good enough terms with them that they can co-opt their help without too much effort. Bishop isn't like that. For a number of reasons, he prefers to have as little to do with the law as humanly possible. One of those reasons is shown at the beginning of THE WRONG MAN, where he spends part of the story behind bars for another man's crime - something he feels could have easily have been avoided had the detectives on the case done a more thorough job. That's just one example, although I've also hinted that his ambivalence towards law enforcement officials goes back a long way and is a lot more deep-rooted. Maybe I'll go into it in more detail in a future novel. Maybe not. However, there are exceptions to the rule. 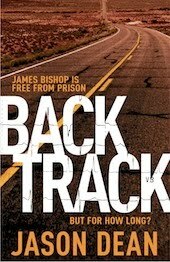 There's a suspended cop in BACKTRACK with whom Bishop got on fine, for example, and there's also a certain female US Marshal he'd throw a bucket of water over if he saw her on fire on the sidewalk, but for the most part Bishop prefers to steer clear of the police as much as possible and go his own way. Simple answer? I write the kinds of books I want to read myself. 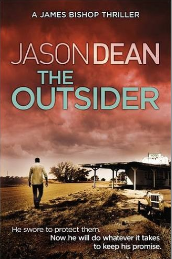 From an early age I've always loved reading thrillers and suspense novels, and for some reason the ones I tended to like most were usually American (all those wide open vistas!). And like a lot of readers, I've always had a soft spot for series characters as well. There's nothing better than finishing a great book with a memorable leading character and discovering the author wrote a bunch more featuring the same person. So with all that in mind, I purposely set out to create in Bishop an American hero (or anti-hero, to be more precise) whom I could put into a wide variety of situations, and who was enigmatic enough that the reader would be willing to follow him from story to story in order to discover what makes him tick. Hopefully I've succeeded. Time will tell. You know, I've read plenty of interviews where authors are asked the same question and often they say they never plot anything out - that they simply sit down in front of the computer and start writing and see what happens. And I have to admit I'm kind of envious, because I could never use that approach. Not in a million years. My mind simply doesn't work that way; I'm far too methodical a person (as is Bishop). So while I admit there's a lot of spontaneity in the writing of a novel, I prefer to plot the main points of the story out before I actually put pen to paper, or fingertip to keypad, so I've got some idea of what's ahead. At the start I generally sit down at my workdesk with a new A5-sized notebook and my trusty Parker pen, and begin thinking of plot ideas, along with possible characters and themes, mixed in with plenty of research. And I write notes. Lots and lots and lots of notes. Usually in the form of bullet points. At this point in the game, I'm essentially using the notebook to brainstorm with myself, so when a particularly foolish idea drips onto the page the next bullet point will likely be a harsh, 'This idea's about as dumb as a box of socks. Think smarter!' But that's okay. Every single idea and every single thought, no matter how stupid, gets put down on paper without fail. I've learnt that you never know when an old idea you'd discarded might come in handy later on. Gradually, over the course of a month, sometimes longer, a fairly detailed plot begins to emerge and then I transfer the good stuff onto post-it notes - one post-it per chapter - and stick 'em on the wall in front of my desk. Except for the last dozen or so chapters. Those I purposely leave very vague, so that other than the major plot twists, I only know how the book's actually going to end when I reach that part of the manuscript. Hey, I like to have my cake and eat it, okay? So now I get started on the actual writing of the first draft, and this generally takes me about four months. I stick to a fairly rigid timetable of 1000 words a day, every day, seven days a week, until the first draft's done. Then I take a week away from it before going back to do a second draft. This usually takes me about a month, sometimes a little less. Then, once I feel I've done my absolute best I send the revised manuscript on to my agent and my editor and patiently await their verdicts. And while I wait, I start thinking about out the next project. Because there's always a next project. Nick Quantrill was born and raised in Hull, an isolated industrial city in the north east of England. His Joe Geraghty crime novels - BROKEN DREAMS, THE LATE GREATS, and THE CROOKED BEAT - are published by Caffeine Nights. 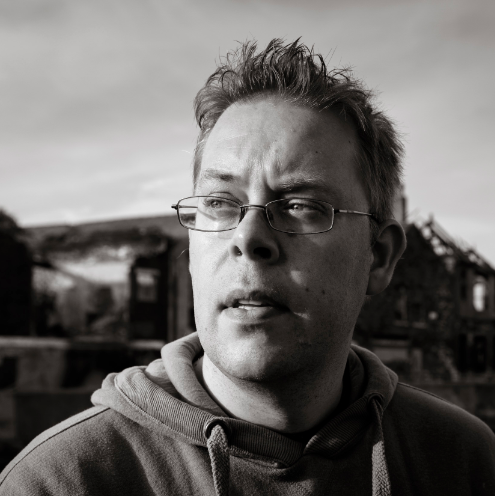 A prolific short story writer, Nick's work has appeared in various volumes of 'The Mammoth Book of Best British Crime.' You can find him at www.nickquantrill.co.uk, and you can also follow him through Twitter @NickQuantrill. J.T. Brannan is the author of high-concept action thrillers STOP AT NOTHING (Amazon Bestseller - Political Thrillers), ORIGIN (translated into eight languages in over thirty territories) and EXTINCTION (his latest all-action novel), as well as the sci-fi action short story DESTRUCTIVE THOUGHTS. Trained as a British Army officer at the Royal Military Academy Sandhurst before deciding to pursue a writing career, he is also a former national Karate champion and bouncer. He now writes full-time and teaches martial arts in Harrogate, in the north of England, where he lives with his wife and two young children. 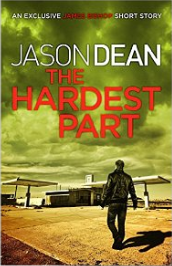 He is currently working on the second novel in the Mark Cole series. You can find him at www.jtbrannanbooks.blogspot.com, and www.jtbrannan.com, on Twitter @JTBrannan_, and on Facebook at jtbrannanbooks. 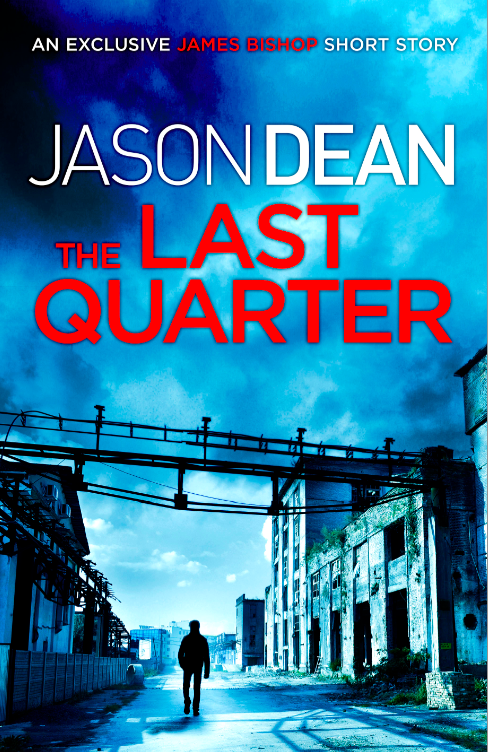 Since my last post, I've learned from my publisher that THE LAST QUARTER eShort has been put back a month and is now due to be released on May 1st. 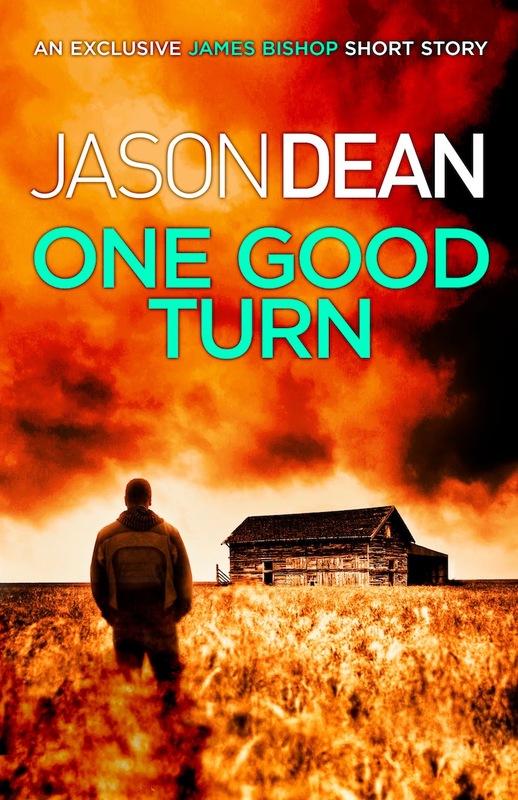 But be sure to keep the 1st of April marked in your diaries because my FREE James Bishop short story - ONE GOOD TURN - is being released that day instead. That's right. FREE. As in 'No Money.' How cool is that? 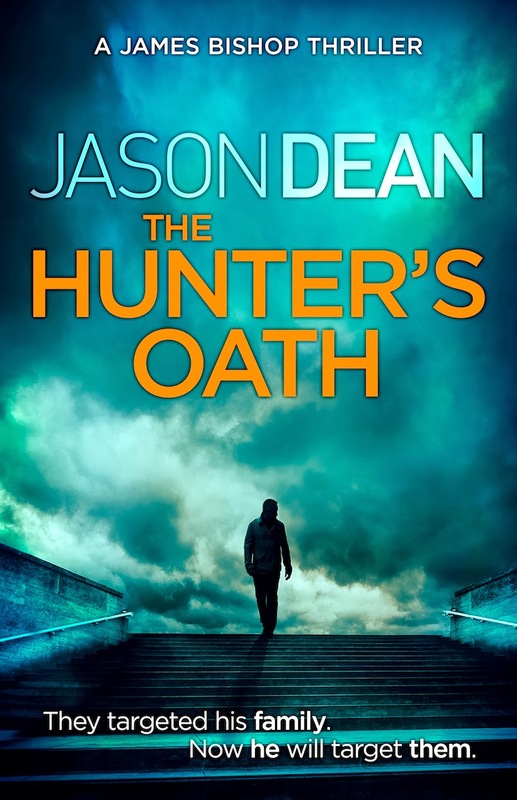 And what's more, I'm now allowed to post the excellent, super-cool new covers to not only ONE GOOD TURN, but THE HUNTER'S OATH as well. Both pretty fantastic, I think you'll agree. Those designers at Headline have really hit the ball out of the park this time. Anyway, the links are now up at Amazon, allowing you to pre-order the stories is you so wish. ONE GOOD TURN is here, THE LAST QUARTER is here, and THE HUNTER'S OATH can be found here. I know, I know, I've been lax in the blog-writing department lately. But it can't be helped. Lately my time's been taken up with writing various short tales featuring the main man, James Bishop, and that kind of thing takes precedence over the blog, I'm afraid. 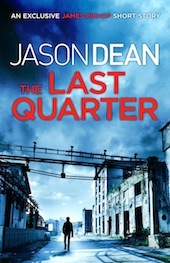 Now the first one to be released is called THE LAST QUARTER and it's due for publication in eBook format on April 1st. No, that's not a premature April Fool's joke. It's really coming out on that day. And that's not all. I've got another Bishop short story in the bank called ONE GOOD TURN, which will probably follow very soon after, and then we've got the third Bishop novel - THE HUNTER'S OATH - coming out at the beginning of June. And still that's not all. Later in the year will be a longer Bishop novella, and I'm currently putting the finishing touches to that one right now. So however you look at it, there sure won't be any shortage of Bishop this year. Pretty cool, huh? Just wait till you see the other two - they're even better.